Our entire budget, including salary, comes from our community. 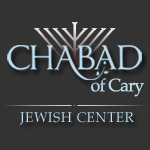 Chabad of Cary will continue to grow with your help! Have a particular question about our budget or fundraising? We are committed to financial transparency and look forward to discussing questions from our donors. Please give Rabbi Yisroel a call or email to schedule a meeting.